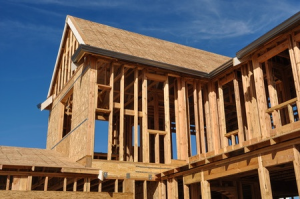 Do You Need Homeowners Insurance While Your New Home is Under Construction? What type of Insurance do I need when I start building my own dream home? It’s everyone’s dream to build their home to their own liking. When going through the process of building your dream home you will still be responsible for maintaining Homeowners Insurance on your property. 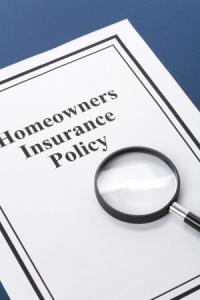 So how do you know if your current Homeowner’s Insurance is sufficient coverage? Is there a special type of policy that I will need to purchase to cover this situation? What is a builder’s risk policy anyway? But I already have Homeowners Insurance won’t that cover me? Your current Homeowners Insurance may be able to extend coverage to your construction if you are doing a major remodel. What you need to keep in mind is that it will depend on whether you are leaving the foundation and any walls (including a basement) intact. If this is the case, then there is a likely chance that your current Homeowner’s policy will cover you but it is always a good idea to check with an agent who specializes in builders risk policies. What is a Builder’s Risk policy? A builder’s risk policy, sometimes called course of construction insurance, is a homeowner’s policy that covers your house during construction starting from foundation to finishing work. It is a special policy that only covers you during the construction phase of your project. Once finished you will need to contact your Insurance Agent to convert your policy over to a standard Homeowner’s Insurance policy. This is because a builder’s risk policy can have lower limits on personal contents and liability. Is a Builder’s Risk policy expensive? That all depends on how much coverage you want. Traditionally if you purchase your Builder’s risk policy through Whitcomb Insurance Agent for a project that is less than $ 1 million in building costs, you will see a premium only 10%-15% more than your standard Homeowner Insurance. If your build exceeds the $1 million threshold or you require excess coverage for things like theft of tools on site, then you will have to go through a specialized broker. This can still be obtained by contacting the team at Whitcomb Insurance Agency. These policies are typically 40%-50% higher or possibly more depending on if you require excess coverages.